The other afternoon I was shoveling mulch, and the Man-child was playing with the hose and his green bucket. I had specifically asked him not to play with the water because it was cold outside. He ignored me and got water all over his pants' leg, at which point he began screaming for a towel. I told him "not right now" (I was in the middle of something) and explained that was exactly why I had asked him not to play with the water. I let him know there was a pile of towels just inside the door if he wanted one. I refused to acknowledge the continued shrieks and whines, so he walked into the middle of my onion patch, stomped on the marker and several of the onions. 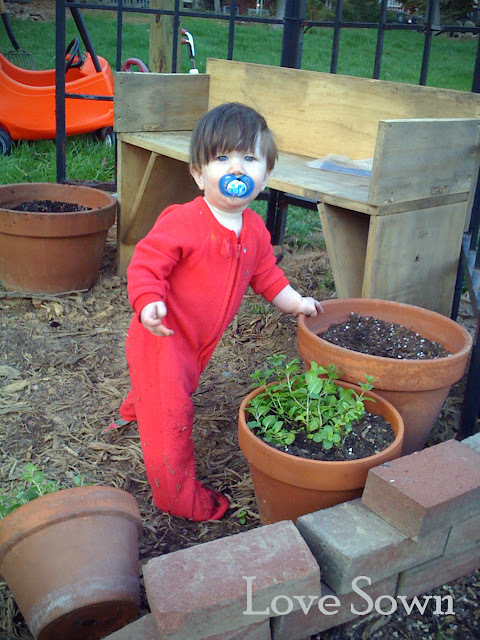 If your child stomps on your garden there might be several things going on. He is angry at you. He wants to hurt you to express that anger. He knows that the garden is something you value. He thinks damaging the garden will hurt you. Eventually the Man-child went inside to find a towel on his own (which he is plenty capable of doing), and later we had a discussion about his onionous actions. He apologized and I forgave him. We probably can all agree that his behavior made logical sense for a three-year old but was unacceptable. I couldn't help but wonder if he thought that ignoring his tantrum was a sign that I value the garden over him. This is why I didn't make a fuss over the garden until later once he had cooled down. I really wasn't as angry as I was surprised by the way he chose to play out his anger. 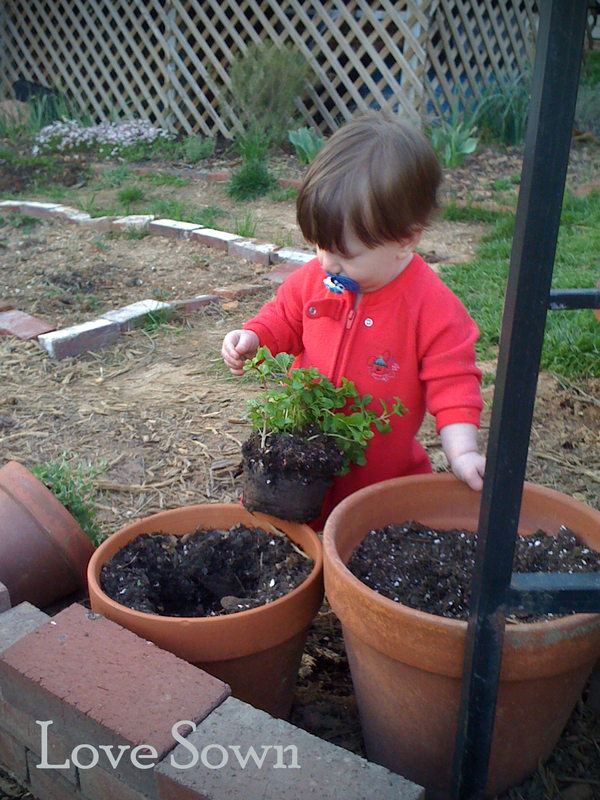 Now, when your baby knocks over the oregano and pulls up the mint, grab your camera or your phone because you know it's going to be a good one! The baby was on a path of destruction this evening. Not only did he get into the plants, but he pulled the spout off the watering can and sat in the onion patch. Your little guys are adorable.